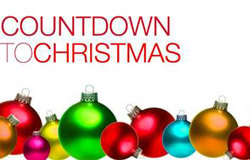 There really is no denying it at we enter the penultimate day of November, Christmas is haring toward us at breakneck speed. For my entire childhood I would love these couple of days because it meant that we'd begin to open doors on the advent calendar my Aunt had sent home from New York. (we were fierce fancy back then). There's nothing like peeling back the first door to get the Christmas spirit going. The most expensive of the lot is 24 Days of Christmas from Liz Earle. Containing 24 luxury samples of skincare to bodycare. If you want a sneak peek at contents you could check out Karen's post here (not advisable if you don't want to be filled with NEED). It's a gorgeous collection and would make a stunning gift for someone special. This luxury offering from L'Oreal boasts not only designer fragrances but luxury sized samples of mascara, lip gloss, skincare, serums and more. It's an absolute cracker. Words cannot express how much I want to get my mitts on this beauty. Ridiculous scheduling for the past 3 weeks has meant that I haven't had a minute to get into Arnott's Dublin, who have Irish exclusivity, to bag my own. Priced at €50 and boasting 24 mini polishes that's only slightly over €2 a bottle and the chance to rock a different talon look a day this December. Genius I tells ya! Of course if the purse strings and present buying aren't allowing you to afford the bountiful beauty versions, there's always the ol' reliable, chocolate. This year Cadbury's have teamed up with the Make a Wish Ireland, who grant the wishes of children in Ireland living with life-threatening medical conditions, to release the Wishes Advent Calendar. 10% of all sales go directly to the charity. That's guilt free chocolate in anyone's book! 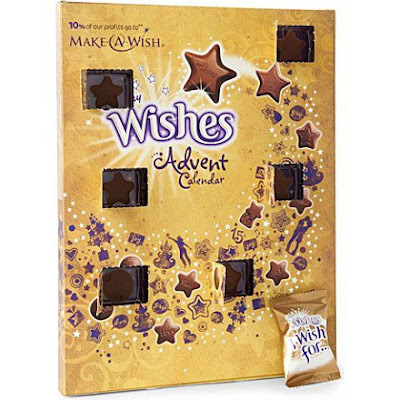 Do you buy Advent calendars? Tempted by the beauty versions this year? Lego advent calendar. there is no other calendar better. I really wanted that Ciate calendar!